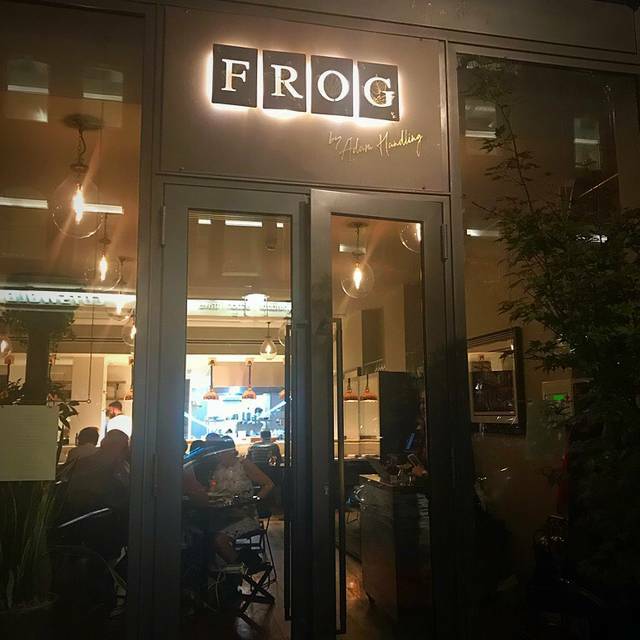 You must make bookings at least 5 minutes in advance of the time at Frog by Adam Handling. The 50-cover, two-floor dining room can seat up to 8 diners at the pass, while in the basement lies a speakeasy cocktail bar with its own street entrance. This bar also has its own kitchen and private dining room. Fantastic!!! AMAZing!!! Only commentary to the contrary is that the kitchen had no women or people of color. Get some diversity on! 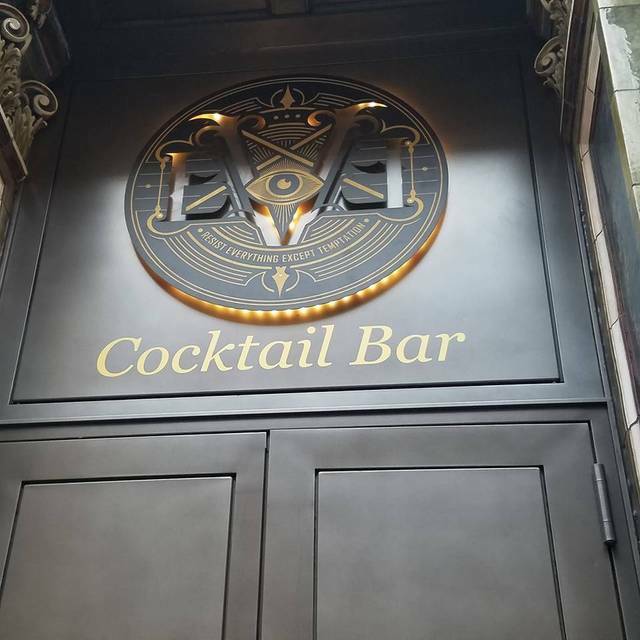 Chose this place for a special occasion and I wasn't disappointed! The food was on another level, very artistic and creative with amazing flavours. The ambiance was also just right and the staff were all super friendly and welcoming! Amazing food, wonderful service, great wine matching. Although pricey, a great treat. We had a wonderful meal. Took a la carte and all courses plus courtesy of house additions were excellent. Never rushed. Very nice to see that although expensive wines for those with sophisticated taste there was also a good choice of wines around £40-50 for those who couldnt appreciate the differences that were really good. Whole experience a lot of fun. We had an absolutely fabulous experience from the moment we entered the door. We went for the Adams Menu and were so impressed with every course and the wines to accompany the food were spot on. The staff were so friendly and the sommelier was very knowledgeable. 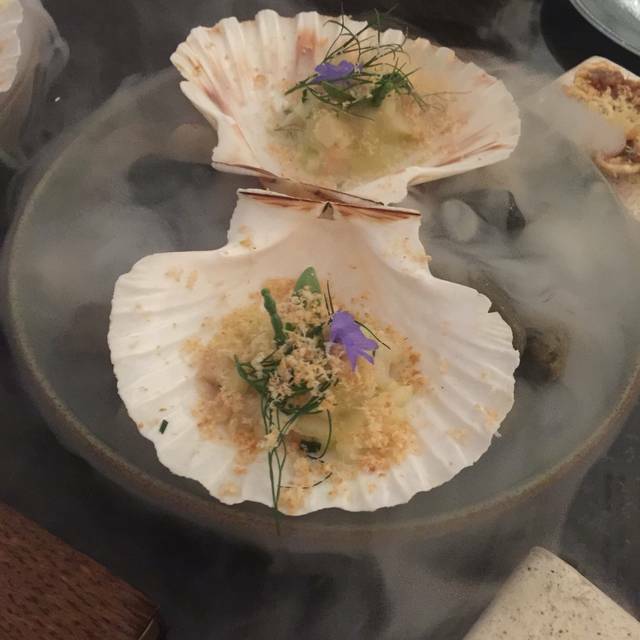 Food was amazing and we have really enjoyed the food at Frog by Adam Handling. However the restaurant has totally ignored my additional request that I’ve filled in on OpenTable while booking the table, was disappointed as it’s my partner’s birthday. Also the lady at the reception could have been more friendly and welcoming. Recommend for everyday dining and not celebratory dining/special occasion. Second visit to frog, first time there was a power failure, but they still looked after us better then we expected, this time no problems, we choose taster menu , plus lobster, every course was lovely and were looked after fantastically by all members of staff, will definitely be going back,but maybe not until the menu gets a refresh, keep up the good work. This restaurant is a must, fantastic food and service. We thoroughly enjoyed our evening, highly recommend. Fabulous 9 course taster menu + additional lobster course. 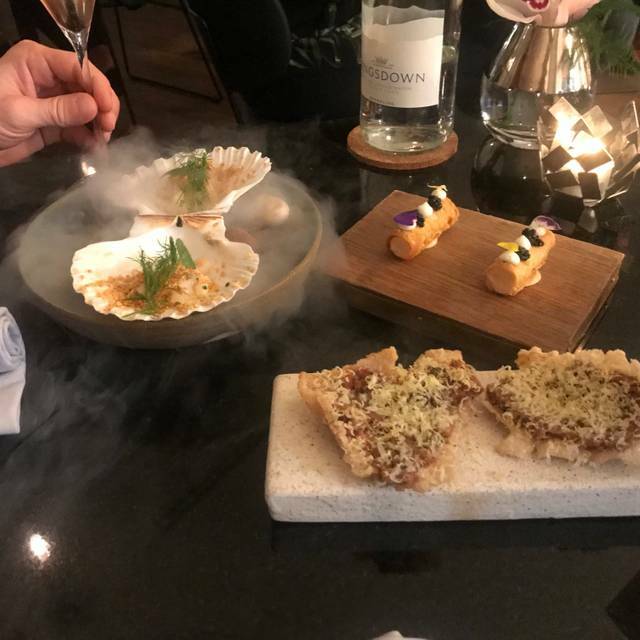 Really well thought out menu with a great selection of flavours and innovative cooking, right from the off, with the starter snacks full of tasty surprises. 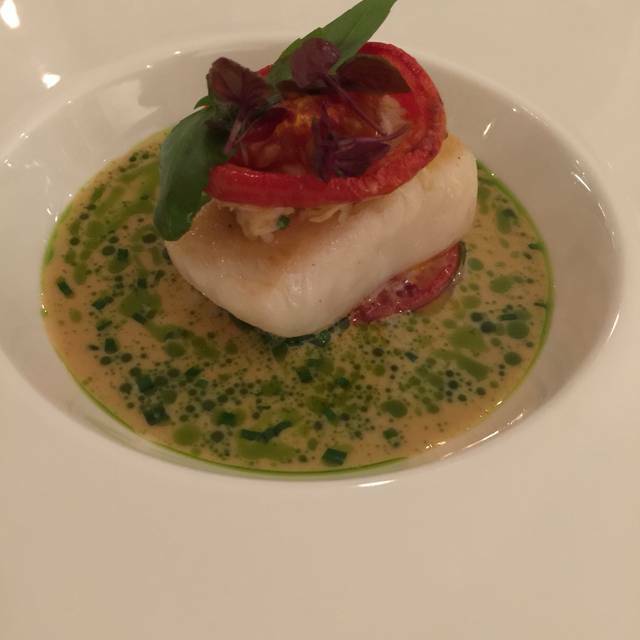 The menu includes a range of Adam's signature dishes, with the crab kimchi tart particularly memorable. In fact the savoury dishes all stood out as exceptional and were packed with wonderful flavour combinations. The additional lobster course is really nice, however its omission would not have taken away from the overall excellent dining experience, therefore great idea to have it as an option for those who particularly like lobster. Was delighted to see that there was an option of Matching Non-Alcoholic Cocktails in addition to the usual Matching Wines. My wife and I both selected the Non-Alcoholic option and we experienced a broad range of flavours, with the apple and vanilla particularly refreshing. Definitely worth trying if you haven't done so before, and will give you a great guide on what works so that the next time you can just order the selection of cocktail juices you really like. A big thank you to the staff who were fantastic. Their enthusiasm was infectious and it was a really nice touch to have some of the courses presented to us by the chefs who made them. Really added to the evening's enjoyment. First class all round, and as good as some 2 star Michelin restaurants we have eaten in recently. Very fine food with a lot of effort put in. The tasting menu was great but a few notches down based on style over flavour combinations. Worth the 5 course price, was expecting a little better cookery and flavour combinations. Pure theatre from start to finish. Exquisite flavours, served with precision. We arrived 5 minutes early and got a nice table. We ordered the Adam tasting menu and ate very rapidly. Some dishes were great. Others didn't quite make the cut. Misses were some of the mismatched sauces which really made some of the courses nearly inedible. Meats and seafood were perfectly cooked and fresh. The extra lobster dish cooked with wagyu fat was the highlight. Non alcoholic beverage pairing was mediocre to bad. Stick with water. Before the last two courses the maitre'd asked to move us to the counter pretty rudely. We obliged but considering the cost of 350£ spent for two to be treated that way is outrageous. I would never recommend this place to anyone in terms of a fine dining experience. Outstanding food and great service. Will definitely visit again. Best restaurant I’ve ever been to and that includes 6 different Michelin star restaurants. Fantastic! The tasting menu is the best. The passion shown by the chefs presenting each dish is incredible. Right up there with the best restaurants. My wife and I went for our 10th wedding anniversary, I had been at Christmas and thought it was very good, then got slightly nervous that I was looking back with rose tinted glasses, I needn't have been concerned it was better than I remembered - outstanding! Awesome night for my girlfriends birthday, sat at the kitchen counter which was a great experience, you also get served by the chefs which is a nice touch. If you like tasting menus, add this to the list. Had the Adams menu. All courses were very good as was the service. What a wonderful culinary experience. Imaginative combinations of flavours and presentation made for lovely evening. The service was excellent, attentive without being over-familiar; all the staff were well briefed on the dishes and on the wine selection. My only reservation was that though the wine list was excellent, I think a little overpriced even by Covent Garden standards. 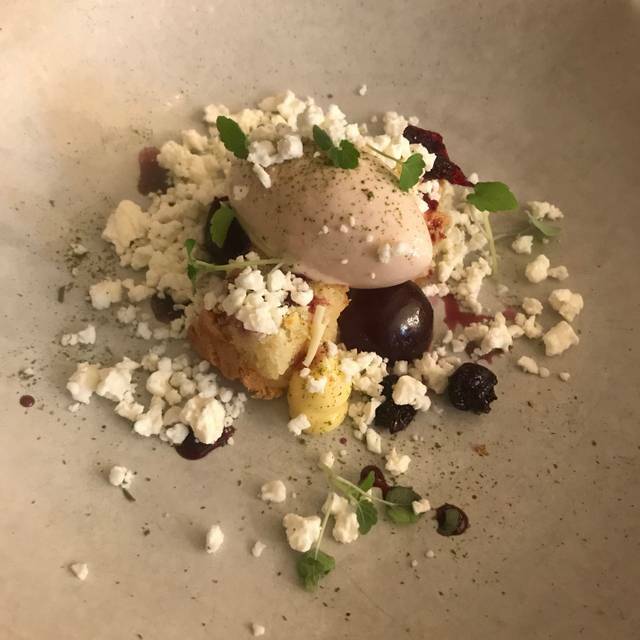 Exceptional - really lovely food, excellent service, and nice ambience. I saw Frog on Masterchef and thought I would really like to go but we don't live in London. The next day my son said he would be over from Singapore for one evening and that was my husband's birthday so I booked at once. We each had the five course taster and it was absolutely brilliant. There were lots of extra bits too and each course was interesting and served with excitement and flair. The whole meal exceeded our expectations and we will certainly go there again. At the end, my husband was presented with what seemed to be a white choc ice candle for his birthday. It's good to find something so special at a reasonable price in central London. Lovely experience. Great food full of flavour. Attentive staff. We went on a Monday lunchtime so it wasn't full but had a nice atmosphere. Will go again. Nice food and good wine flight. For lunch it’s slightly overpriced. For dinner at this price we’d be happy but for lunch in an empty restaurant it seems a bit over the top. Lovely Sunday evening - still busy and lively. 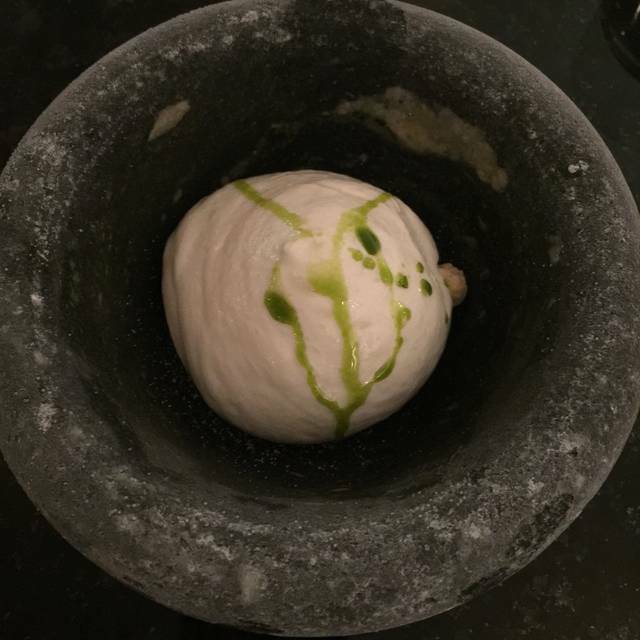 Food amazing - good friendly engaging staff - no one looked stressed and the kitchen seemed to be running seamlessly. Cocktail I had was delicious. Extensive wine list. Lots of interesting touches - crockery, cutlery, glasses and serving ideas. Can’t fault and would thoroughly recommend. 3 generations at the table and everyone was equally impressed. We had the Adam’s nine courses menu. Each one of them was sooo delicious, especially the bread with crispy chicken fat butter, the best butter I’ve ever had! Though a bit pricy but definitely worth the try! A lovely place to enjoy the time with special person. Particularly liked that the chefs presented you with the food and explained what it was - rather than waiter/waitress serving it. Special touch for my boyfriend- they gave him an extra birthday dessert which was unexpected. Gaps between courses were perfect, you never felt rushed. Overall really impressive but staff were a bit stilted. Do NOT order the 'recommended' extra course on the tasting menu - lobster in wagyu beef fat - it was far below the rest of the menu's standard. Literally a bit of lobster on an empty plate and only tasted of cold fat: unpleasant!! Everything else was delicious, good to look at and really inventive. My first visit to the Frog and it won't be my last. Food, Service, Staff, Atmosphere all absolutely outstanding. A great place to dine and have had worse in Michelin restaurants! Went to the Frog on Friday night and what an amazing evening we had. The complete experience definitely does not disappoint. Wholeheartedly recommend going , great value, great food, great service and lovely to interact with chefs all evening. Book cocktail bar first , it all adds to the experience. Well done Adam . Absolutely bossing it and taking food to a new level. An outstanding and inventive meal. The service was terrific and the price sensible for the quality of cooking. We has such a wonderful experience this week at the Frog. 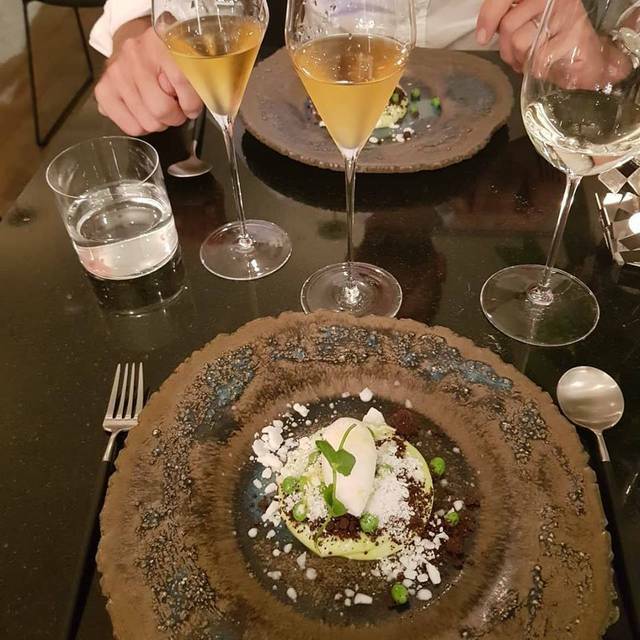 We had the 5 course tasting menu which was fantastic, and our somelier was so attentive. 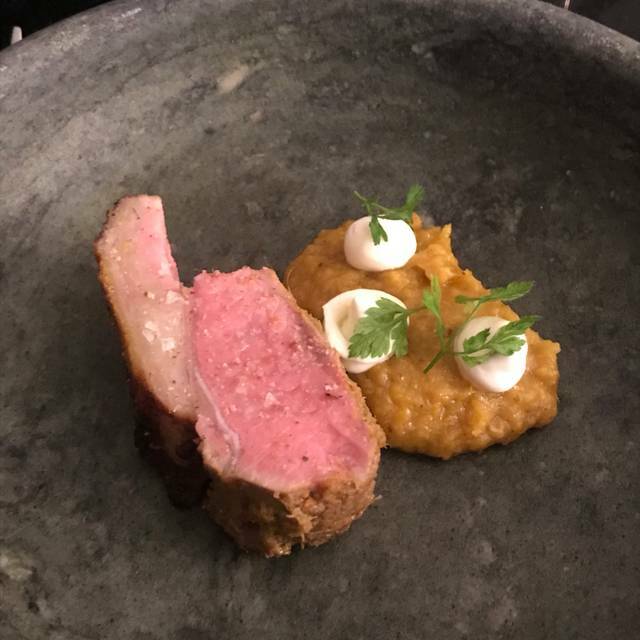 We had a strict timeframe as we were going to the theatre and so I would recommend giving yourself 2 hours for the tasting menu, as we had to rush which was a shame. Highly recommend!! We had lunch before the Theatre. It was a magical experience. The food looked amazing and tasted heavenly. I enjoy cooking but I could never attempt any of the dishes that were served! The skills demonstrated very outstanding. We thought the 5 course menu was extremely good value. We had help with the wine and although it was more than we would normally pay it was well chosen and totally delicious. We were not made to feel obligated to choose the wine and cheaper alternatives were offered. We will most definitely return.